The cloud is everywhere. No matter where you look, it seems nearly every company is using cloud technologies or talking about the cloud in some form. Verizon’s recent “2016 State of the Market: Enterprise Cloud” report indicated that 87 percent of organizations are now using cloud-based tools to run mission-critical workloads, with 69 percent of enterprises touting the cloud’s usefulness in helping them revolutionize business processes. While adoption of private cloud is on the incline, hybrid architectures are also set to enjoy an increase in the coming months. Why are enterprises across the board and within nearly every industry adopting cloud technologies? The advantages speak for themselves. Cost effectiveness, increased ability for collaboration and better flexibility are only a few of the benefits that companies can glean from deploying applications in these virtual environments. Private and public cloud environments are useful in their own rights, and hybrid cloud allows companies to choose the best of each kind of deployment – mix and match cloud, so to speak. The ability to combine private and public deployments into one solution is enticing for many businesses, and as such, the outlook for hybrid cloud is good. In 2011, Gartner projected the rise of hybrid cloud by saying that 90 percent of organizations had plans to hybridize their IT strategies in the near future. The subsequent years have shown that, yes, hybrid deployments have practically skyrocketed since those Gartner predictions were made. Research published by MarketsandMarkets in March 2015 projected that the total market value of the hybrid cloud space would reach $84.67 billion in 2019, growing at a compound annual rate of 27.3 percent beginning in 2014. This is a huge portion of the market share allotted to the overall cloud industry. The new year is already beginning to see important changes when it comes to hybrid architectures. Cloud Cruiser contributor Dave Zabrowski predicted that in 2016, the hybrid cloud would become the standard for operation among enterprises and small businesses alike. Zabrowski cautioned that deploying hybrid cloud environments can add complexity to IT infrastructure, but drawbacks like these aren’t slowing the adoption rate any. Network World contributor Brian Butte noted that because enterprises are learning the real benefits and disadvantages of each kind of cloud deployment – public and private – they are more likely to turn to hybrid environments to serve them for different purposes. 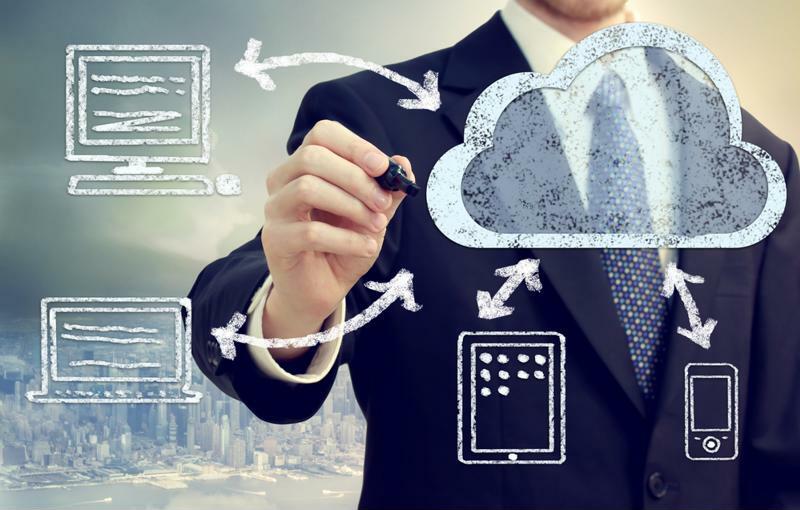 Hybrid cloud deployments offer a bevy of advantages to those enterprises that make the decision to hybridize their IT infrastructure. Enhanced flexibility, better business agility and customizable pricing are all important incentives for cloud adoption. However, these are only surface-level benefits. One of the biggest advantages of the hybrid cloud lies in the ability to develop and deploy containerized instances that run applications and store data. Containers work in a similar manner to virtual machines, except that VMs run complete instances of servers and thus take up a lot of space. Containers, on the other hand, are extremely small. Essentially, they represent building blocks that can form complete instances, instead of coming as a complete package. According to WindowsITPro contributor Orin Thomas, this facilitates the movement of containers between hosts, because all you have to do is shift the container files themselves. This enhanced ability for movement and application support is advantageous for numerous reasons. In a hybrid cloud environment, this allows developers to streamline app development and delivery. “[D]evelopers creating applications can build a container on their development machine, push it into their organization’s private cloud deployment for wider testing, and then push that same container up into Azure when the application is ready to be deployed into production,” Thomas wrote. Hybrid cloud is helping enterprises make the most out of their IT infrastructure. Hybrid cloud is being utilized for more than simply storing and running applications. Development and delivery are two other important aspects of IT infrastructure that should be considered when making the move to the cloud – additional benefits that may not be at the top of administrators’ minds when considering options in the new year. Partnering with a managed services provider like ISG Technology can help take out some of the complexity of deploying a hybrid cloud solution. Our cloud experts can successfully guide you down your path to hybrid IT deployment – call us today for more information!